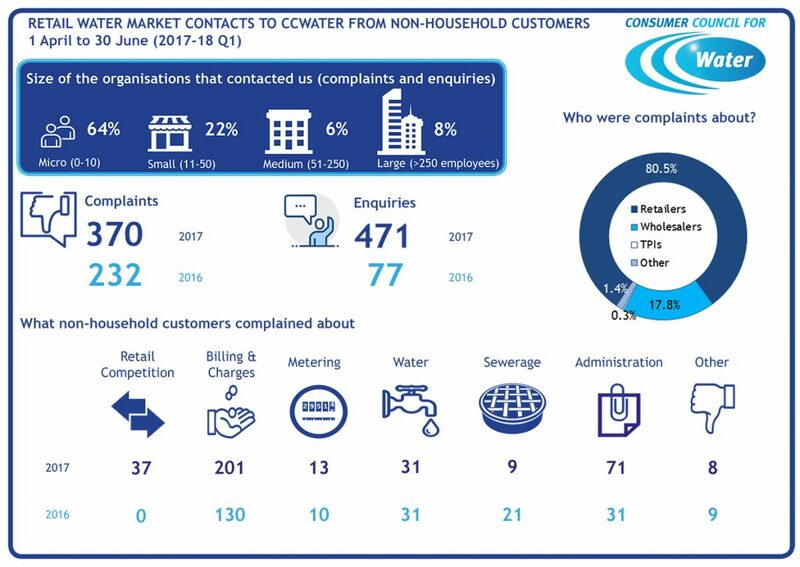 MOSL and CC Water published data on market activity and customer complaints from the first quarter (April-June 2017). While this data does not reveal everything about the market, it offers a baseline to reflect on where the market is and what needs to be done next. There are encouraging signs, but there is more to do to make sure the market works for everyone. Ofwat will continue to monitor the market closely to make sure it works for all and meet and listen to customers – and their views will shape its work. 36,301 supply point switches were processed during the first quarter, with over 10,000 of these occurring on the first day of the live market. This represents 1.4% of the 2.6 million supply points in the market. 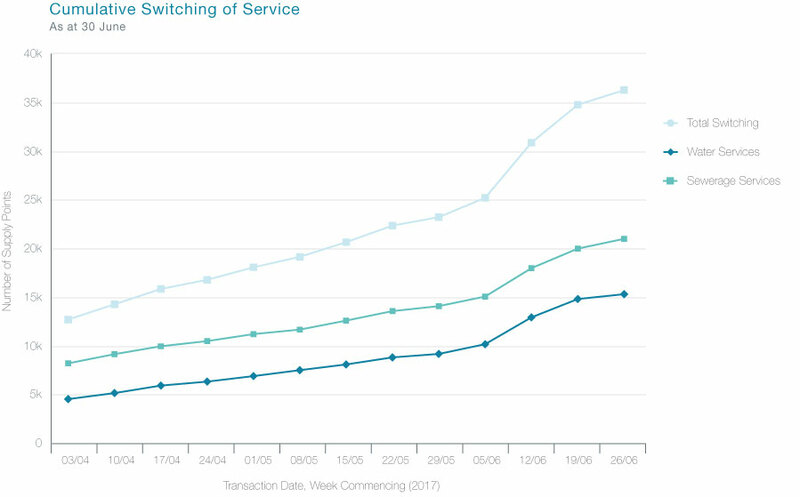 The data from the first quarter since market opening suggests a preference by customers to have one retailer for both their water and wastewater services with 95% of all switches either combining or keeping both services with one retailer. 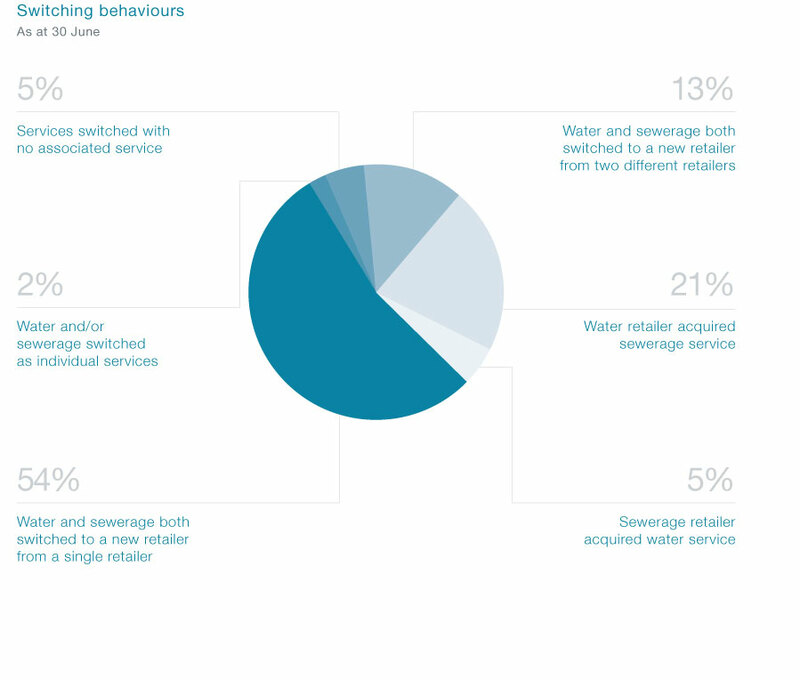 Only 2% of switching has resulted in water and wastewater services being served by two separate retailers. 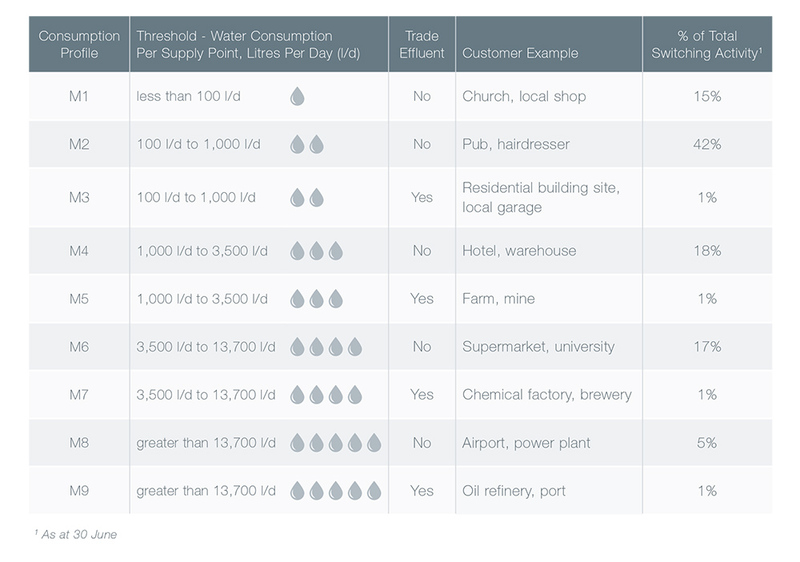 MOSL monitors switching activity according to water consumption per supply point. CC Water compiled customer complaint data from the first quarter.